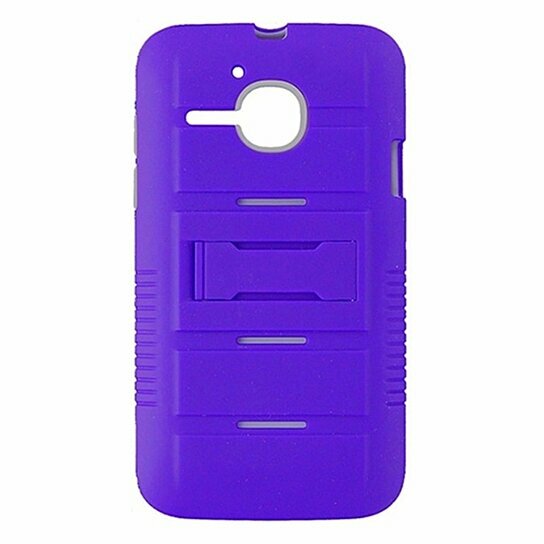 MetroPCS products, Dual Layer Kickstand Designer Shield Case for Alcatel One Touch Evolve. Matte purple hardshell frame with a soft white silicone interior. Built-in Kickstand. Screen protector included.